Does Bentonite clay really detox you? 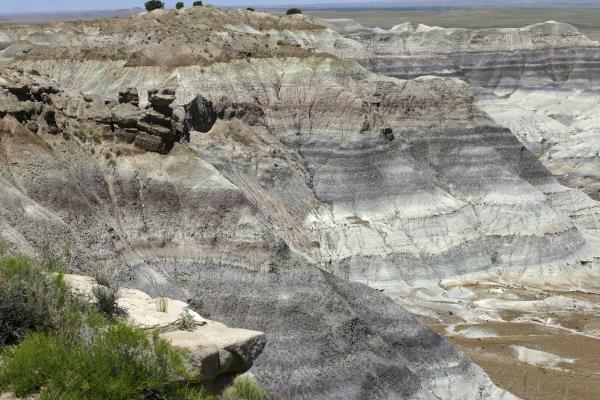 Bentonite clay is commonly used as a part of a Detox regime and is composed of volcanic ash, the largest source being from Fort Benton in Wyoming. Hence the name. However, Bentonite clay actually consists of montmorillonite. The components and benefits of this clay were first detailed in 1847 in South Western France, in Montmorillon in the Vienne where people had been bathing in it and consuming it to rid the body of toxins. It was routinely taken on board ships to treat dysentery more than 50 years or so before the Benton findings. Volcanic clay has been laid down as ash after eruption, and can have different colours, pH, mineral content and ionic charge, even within different layers after successive eruptions. Hence there are different montmorillonite clays, the colour depending upon the mineral content. Montmorillon clays uniquely have the ability to absorb chemicals whilst they adsorb (provide) their nutrients. Only clays in the Smectite group have the ability to absorb. They do this because they are negatively charged and can thus bind to, and carry out of the body, positively charged molecules and atoms. And red, calcium Montmorillonite clay is the top clay for human consumption because it is much more crystalline and has more easily-absorbable nutrients. It contains almost 60 different minerals. Because of this movement of chemicals in and out, not surprisingly it is often called ‘Living Clay’. This is where mythology and down-right inaccuracy creeps in. Some people tell you that Bentonite clay is sodium clay and Montmorillon clay is calcium clay; and that one is better than the other. The issue is whether the clays are ‘swelling’ clays (with water) as then they have the ability to absorb. After that, all that really matters is that they are clean and top quality. There are also potassium and magnesium clays, and again there is not a lot of difference as long as the ionic charge is there. It is the ionic charge that draws in the mercury or arsenic and then takes them from the body. Not surprisingly, Bentonite or Montmorillonite clay has been found capable of killing harmful bacteria and pathogens. One study showed that it could even kill bacteria where antibiotics had failed(1). There is even evidence of it being used traditionally for pain relief. Recently, research has shown that probiotics can reinforce its action in the intestines. Bentonite clay can be used as a gut cleanse particularly for candida. Increasing natural fibre with flaxseed, psyllium, and a natural probiotic containing L. acidophilus, L. rhamnosus and several Bifidobacterium strains has been shown to be a strong package. Finally, don’t worry, the clay itself cannot be absorbed by the body, it just passes through.